A retaining wall may just look like stacked up stone or timber, but in reality a retaining wall is a system engineered to restrain large amounts of saturated soil weighing several tons. These retaining walls are excellent tools used to help increase the available space for landscaping a property by restraining portions of land which would normally slump and slide into the surrounding landscape. Cook’s Concrete Construction knows that do it yourself retaining wall construction can be overwhelming for the average Tacoma resident. 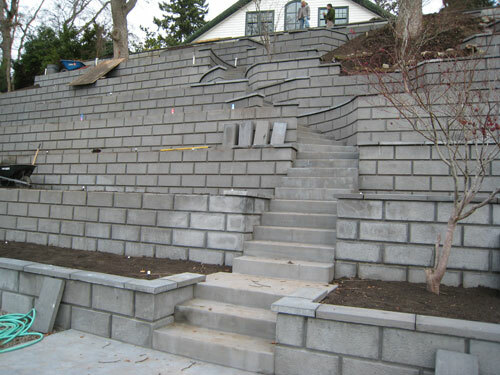 Our retaining wall experts quickly and efficiently will move extensive amounts of soil and construct magnificent retaining walls to last for years to come. Our licensed and bonded company uses the latest technology and equipment. With our experience in the concrete industry spanning nearly Over 35 years, we know that each landscaping project comes with a unique set of requirements. Cooks Concrete Construction, Inc. is more than prepared to exceed landscaping expectations for our clients in the greater Tacoma area. Cook’s Concrete Constructions retaining walls serve multiple purposes with the most common purpose being landscaping. From walls that are a few inches tall to structures which are several feet in height, retaining walls can successfully transform your property. Obtaining Cook’s Concrete Construction retaining wall services is a great way to create a designer landscape by differentiating between the various areas on your property. 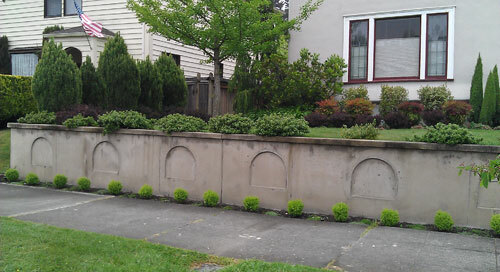 Installing retaining walls can help Tacoma property owners create valuable space in areas which would be unusable otherwise. In Tacoma, a popular use for retaining walls is the prevention of soil erosion. Without retaining walls, slopes, especially steep ones, can experience severe soil erosion as well as damage to your landscaping design. 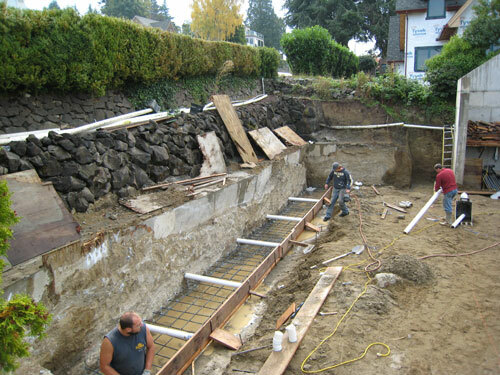 Opting for a Cook’s Concrete Construction retaining wall installation service is the best way for Tacoma residents to successfully prevent soil erosion on their property. The team of professionals at Cook’s Concrete Construction knows that understanding the local weather and soil conditions is a fundamental consideration in the construction of a retaining wall for property owners in Tacoma. Our employees. incorporate their in – depth knowledge of Tacoma’s climate and topography along with state – of – the – art technologies to deliver a landscaping service that makes your commercial or residential property stand out with a unique touch of class. Call us today to find out how your property can benefit from our retaining wall services.